Instagram ads are getting the carousel treatment along with links, the photo-sharing app announced today. These crucial new ad features signal a maturing Instagram, which has been slowly increasing its marketing sophistication. 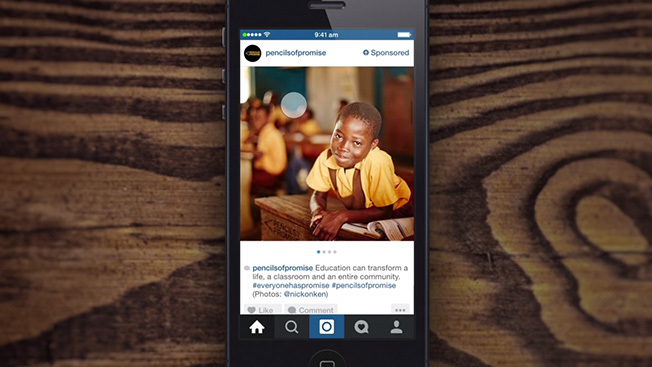 Advertisers can now place multiple photos in one sponsored post for consumers to flip through. At the end of the carousel, users have options to click on additional content or visit a website to learn more. Until now, brands have mostly used the app as billboard space to flash ads as users scroll by. The carousel allows for sequential storytelling, developing a narrative over the course of multiple images. The carousel will only be offered on sponsored posts, not to everyday users or non-paying brands. The links are not a move to attract direct-response, click-driven advertisers, according to a source close to Instagram. This is just the next iteration of brand ads, this source said. The platform's post-campaign insights will still focus on brand-centric data, like sentiment lift and the affinity that users have for advertisers after seeing their paid posts. Instagram won't measure click-through rates, which would show how many people actually took additional action. Instagram started selling ads in late 2013, and its clients have included top brands like Levi's, Ben and Jerry's, Disney and Banana Republic. It started with sponsored images and evolved to offer sponsored videos. However, there have been limits to Instagram's growth because of how hands-on the company is with its advertisers. The company works closely with brands to make sure their content fits the platform, which is known for its stylishly filtered photos and videos. Also, there was no way to link ads to websites where brands would like to drive traffic. One digital ad executive said the limitations have kept ad dollars from migrating more quickly to the popular photo app. "Why not just keep spending on Facebook until Instagram was ready?" said this source, who saw a preview of today's new features but was not authorized to speak publicly. Today's steps could persuade more brands that Instagram is ready, this person said. There are signs Instagram is revving up its ad team, according to another agency executive. This source said Instagram now has a more dedicated sales team, instead of one closely tethered to its parent company, Facebook. The agency executive said Instagram had been very difficult to approach because it had few liaisons to the marketing world, but in recent months that has begun to change. Instagram also is starting to excite brands because it is clearly attracting consumers. The app topped 300 million users this year. Just today, eMarketer put out a report saying the Instagram would have more than 100 million U.S. users by 2018.